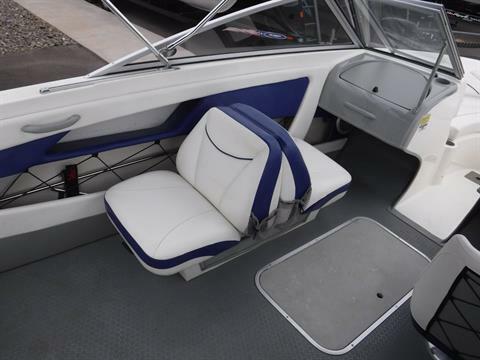 Don't let the dreary day from the pictures scare you off-- this boat is a true gem. 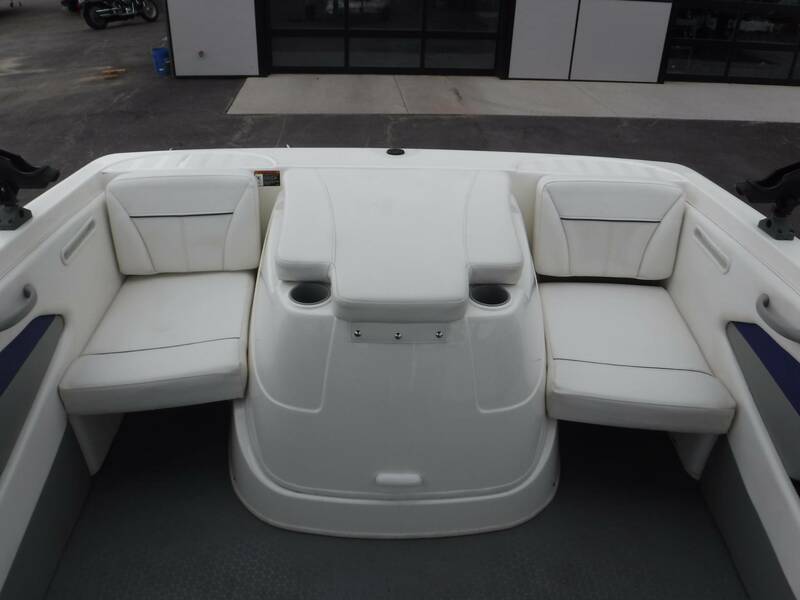 We are willing to wager cash that you won't find a nicer one. 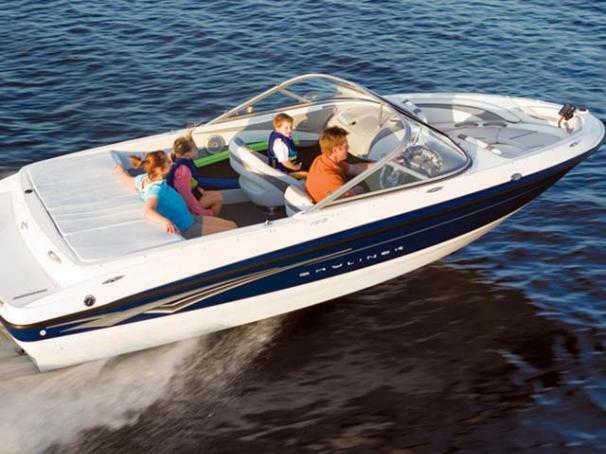 Always stored indoors-- this boat has ZERO fade. The interior and exterior are both an easy 9.5 our of 10, but the running condition is an absolute 10 out of 10! It's so nice we put it in our indoor showroom with all of the new boats! 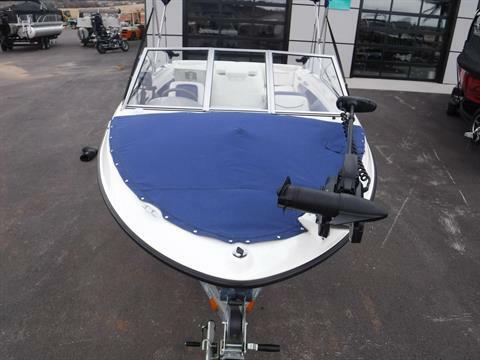 This is a popular do-it-all conversion boat. 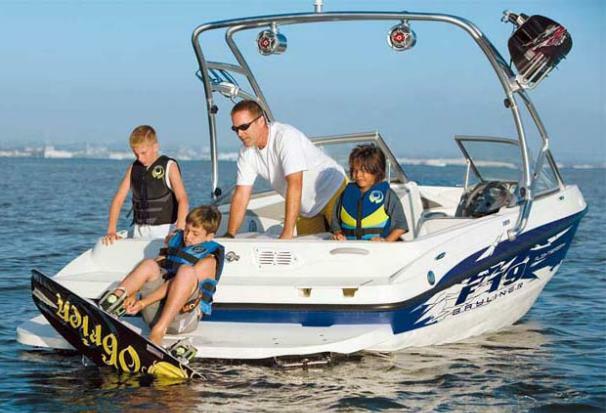 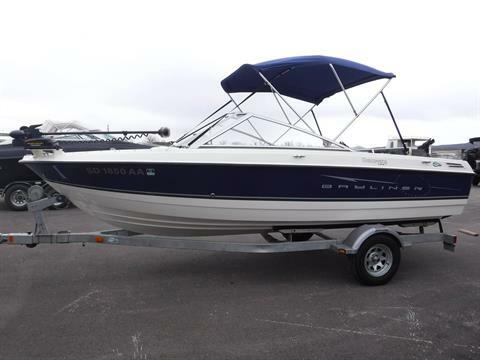 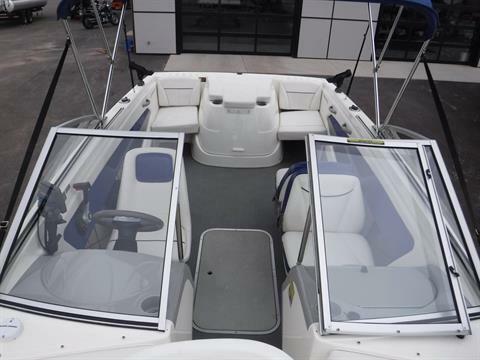 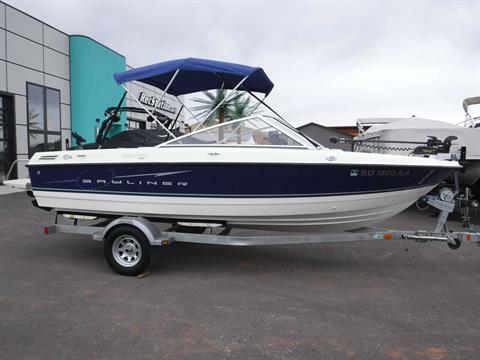 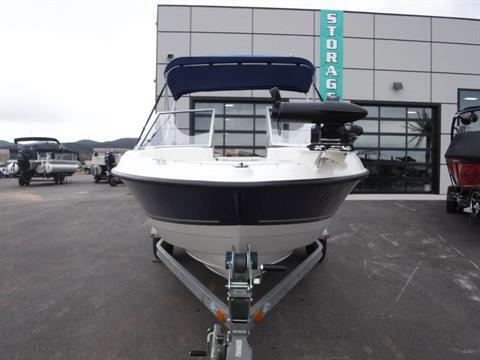 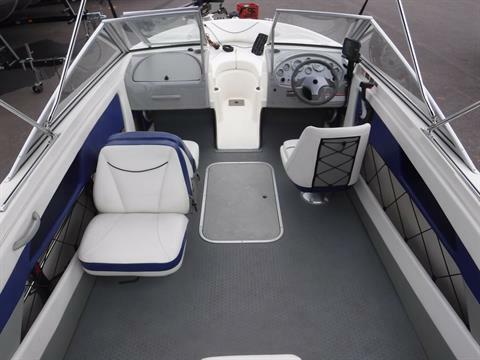 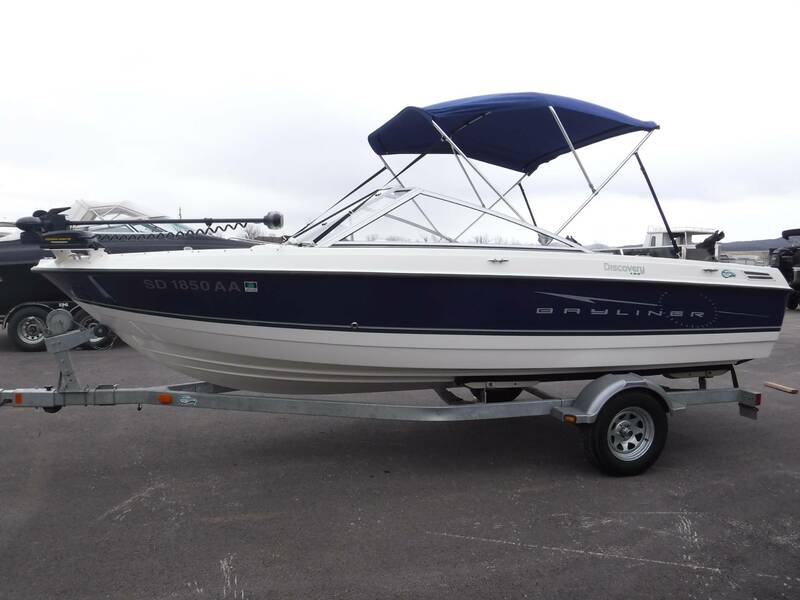 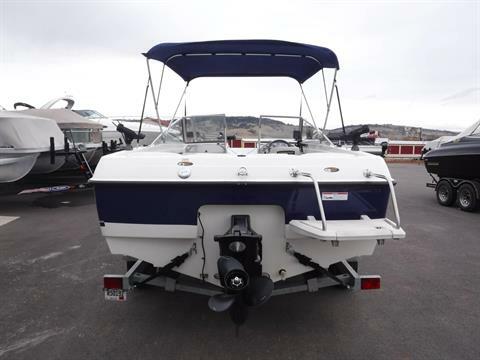 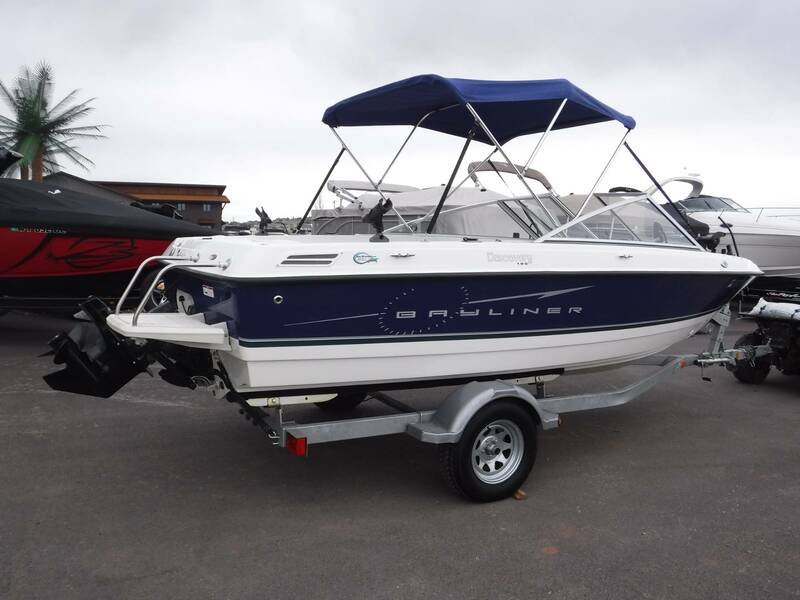 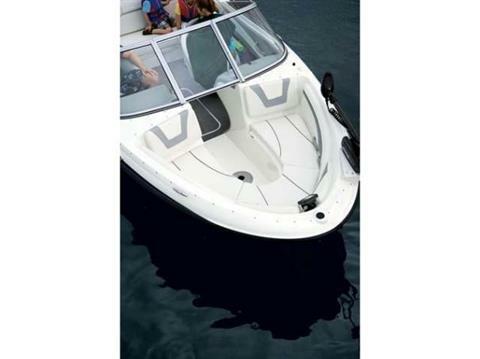 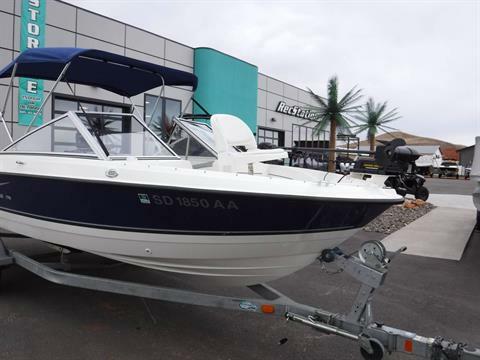 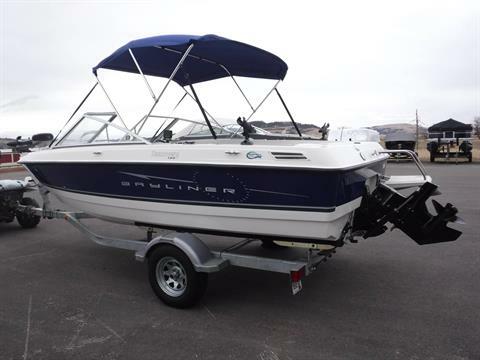 It's built for pleasure cruising, family watersports, fishing, and a lot more. 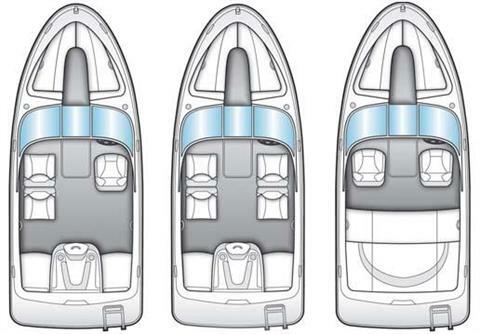 It comes with an easy cleanup vinyl non-skid floor, a bimini top for shade, a back-to-back seat that folds down flat into a sun lounger, full side-glass wraparound windshield, open bow padded seating (converts), a swim platform with fold-down ladder with grab rails, rear jump seats (removable) that convert into another sunlounge, in-floor storage, and a tonneau cover. Fishing: This is also a fishing version. 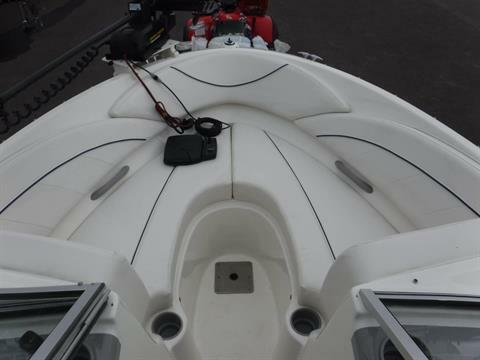 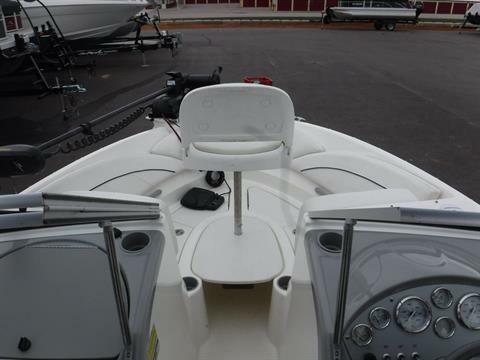 It features an aerated livewell, conversion bow that transforms into a fishing deck, a fishfinder, a 24 volt (newer model) Minn Kota trolling motor with foot pedal, and rod holders. 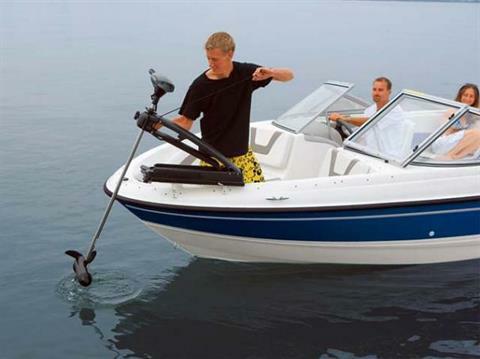 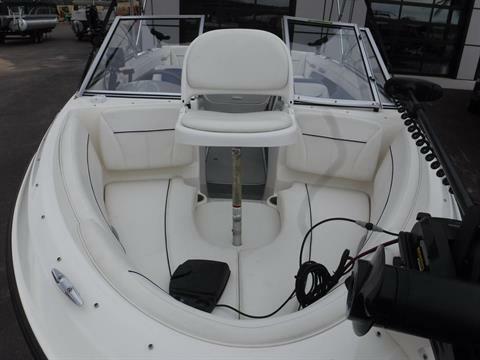 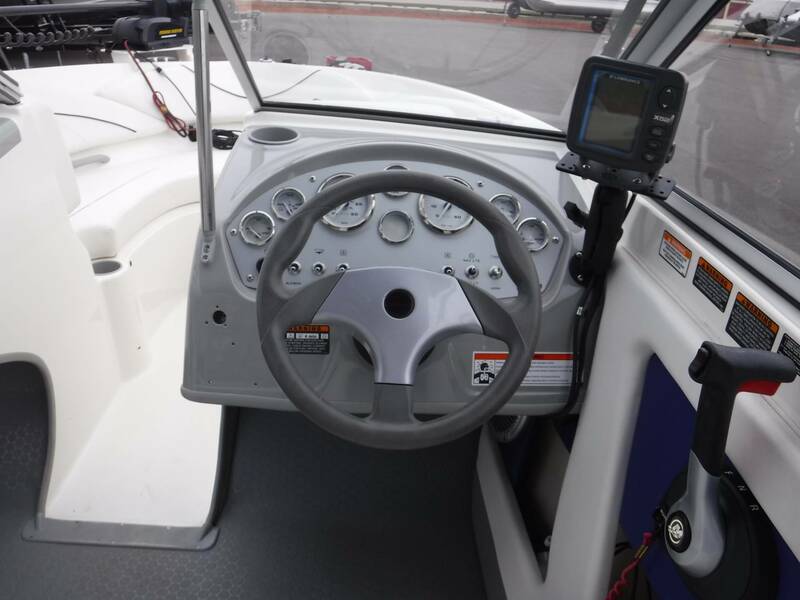 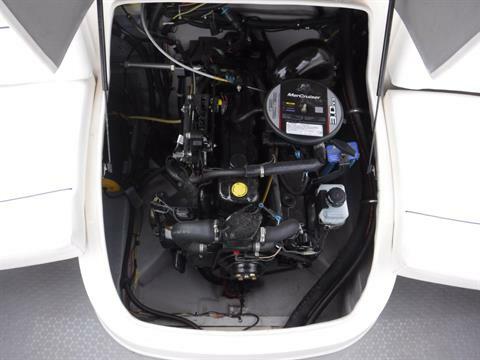 It is powered by a MerCruiser 135 HP TKS motor, which means turn-key-start, making it easy for a first-time owner. It comes with a galvanized trailer with swing tongue that also checked out perfect by our service personnel.